Please join us for the College of Agricultural Sciences Fall 2016 Career Fair. 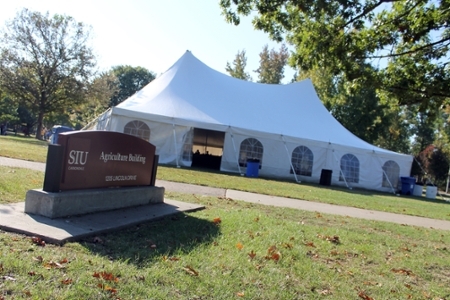 The date is set for September 22 at the College of Agricultural Sciences building at SIU Carbondale. They can make the difference between graduating on time and taking an extra semester, they can help students narrow focus to a major that suits them best or they can help students see the bigger picture and discover a career goal they never knew they had. They are the academic advisers for the College of Agricultural Science. Please join us for the College of Agricultural Sciences Fall 2015 Career Fair. The date is set for September 24 at the College of Agricultural Sciences building at SIU Carbondale. 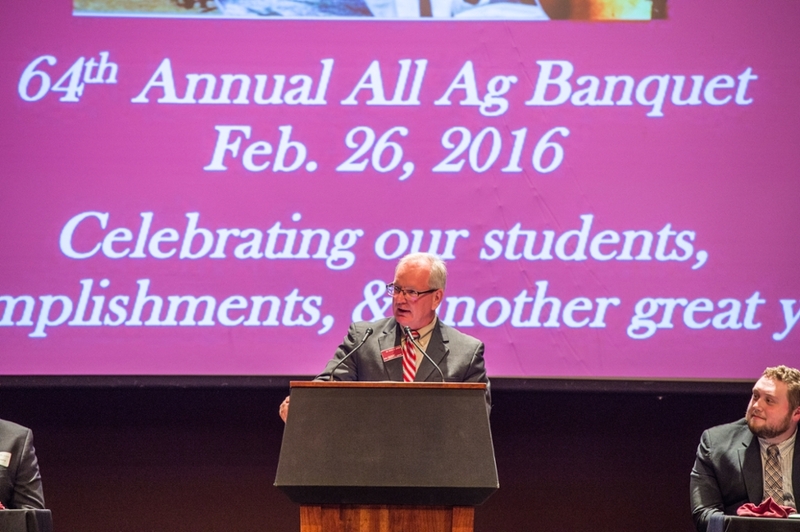 The annual 'All Ag Banquet', now in its 63rd year, celebrates the achievements and accomplishments of those affiliated with the college. The banquet begins at 6 p.m., Feb. 27, in the Student Center ballrooms. Emily Loehmer, a Southern Illinois University Carbondale graduate student, wants to make an impact in public health nutrition. She’ll have the chance to meet policy makers and experts in that area at the U.S. Department of Agriculture’s Agricultural Outlook Forum next month as a participant in the Student Diversity Program, a section of the forum. 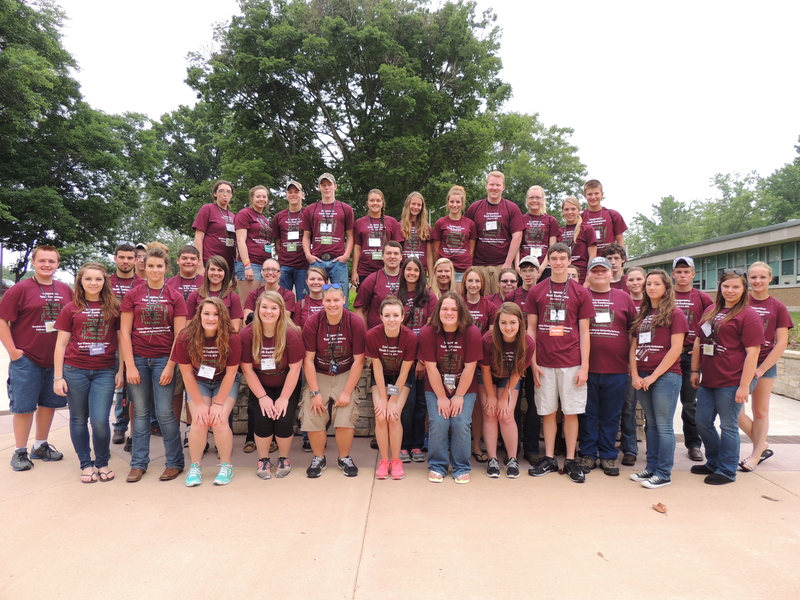 Nearly 50 students attended the Southern Illinois Cooperative Youth Conference for a memorable two-day event. On May 16, 2014, the College will welcome Mr. Peter Dirks as the new Coordinator of Student Transition and Success. Welcome! Over 350 visitors attended the Fall Festival and enjoyed a day filled with learning opportunities, food, hands-on activities and demonstrations. The First Annual Fall Festival is being held on Friday, October 18. Come join us for some fun, food and learning opportunities. 2013 Fall Career Fair Huge Success! 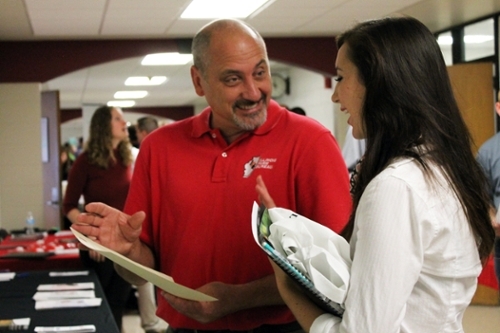 On September 19, the College of Agricultural Sciences hosted over 30 employers at its annual Career Fair. Students met with employers, scheduled interviews … and are on their way to landing their dream JOB! Congratulations to SIUC crop science majors receiving scholarships from the Illinois Soybean Association. The five students receiving awards are Elliott Engele (Nashville, IL), Ben Hutchcraft (Ewing, IL), Collin Lynch (Taylorville, IL), Kevin Schabacker (Chana, IL), and Madison Knezwik-Smith (Hamel, IL). The scholarships winners were selected on the basis of exceptional academic ability, leadership and financial need. 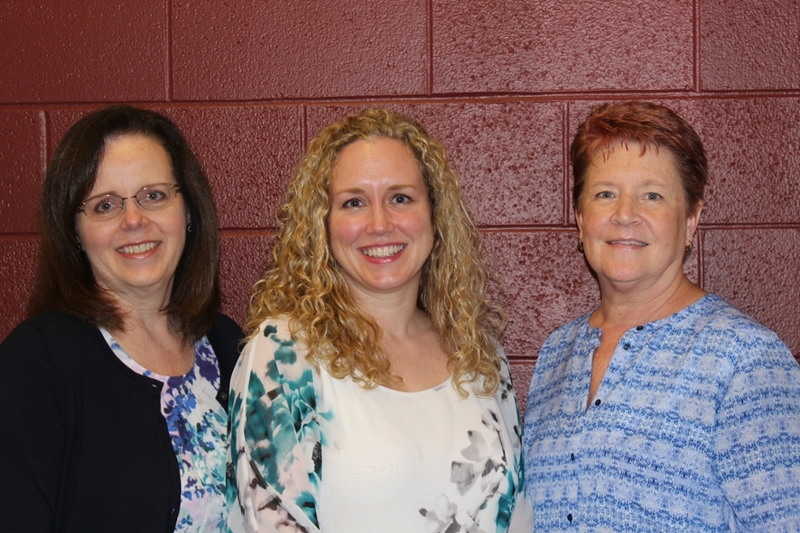 A new tuition program at SIUC helps newly entering students with family ties to SIUC save up to 20% on tuition. The new rate, referred to as the “SIUC Legacy Tuition Rate,” will start being applied during the beginning of the Fall 2011 semester. Students who have parents, stepparents, or legal guardians who graduated from SIUC are eligible for the new rate. Forestry student, Makayla Trotter, is going to spend part of the Fall 2011 semester as a paid intern for National Geographic. Trotter, a geography and environmental resources major from Macomb, IL is heading to Washington D.C. to complete an internship in the Education Division. Jarid Perrin, a junior majoring in Forestry, was awarded Davey Arbor Grant Scholarship. Perrin landed the $1,000 scholarship after completing a summer internship with Davey Tree in the west Chicago area. Davey Tree is a national tree, shrub and lawn care company that grants 30 such scholarships every year across the United States. When a Monarch sits on your nose, it tickles. So says Donovan McNelly, 9, and he should know. A female Monarch butterfly out at the Crab Orchard Wildlife Refuge rested on his nose for more than a minute after Ranger Jodie C. Delaney finished tagging her. One graduate student from SIUC joined the elite ranks of those competing in the 2010 For Ironman World Championship in Lona, Hawaii. Kyle Monroe, a graduate student in the Forestry Department, previously competed for SIUC in cross-country and track. Monroe finished 452nd overall, and 48th in the 25-29 age group. A DuQuoin couple remembered for their devotion to SIUC will benefit students for years to come. Harold and Nora Kuehn left a significant estate gift to the SIUC Foundation. The gift includes the Kuehn farmland located in Dowel, IL. After the devastating wind storm that hit Carbondale in May 2009, a campus-wide committee was formed to develop a plan for planting 200 trees around campus. The committee developed a volunteer-driven plan which focused on planting the trees in a one-day event on November 13, 2009. Four first-year students from the College of Agricultural Sciences were selected to serve on the 2009-2010 Leadership Council. The Council is comprised of 49 students throughout SIUC who are selected in a competitive process based on academic achievement and leadership. The students are selected on a yearly basis, and have opportunities to participate in various cultural, social, civic, leadership and educational programs. The College of Agricultural Sciences congratulates Colleen Hill from Francis Howell High School as a 2009 recipient of a Chancellor's Scholarship from Southern Illinois University Carbondale. While walking through a national park, ever wanted to ask a question about some of the things you see? Forestry Student Volunteers Efforts To "Make A Difference"
Jim Muhlhausen, a Forestry major, volunteers his time with the Saluki Volunteer Corps. G. David Delaney, at 1983 SIUC graduate, established a $100,000 endowment in his father's honor to benefit students in the College of Agricultural Sciences. "My father was a great motivator. He had an easygoing manner, but his actions displayed wisdom and integrity," stated Delaney. Four $1,000 scholarships will be awarded each year. Several SIUC students recently completed a study abroad opportunity during the four-week Summer 2007 Intercession. Food and Nutrition student, Janell L. Huckstadt (from Champaign) was one of 30 students representing SIUC. Miss Fahran Robb of Pinckneyville was name by USA Today as one of the top 80 students in the country for the second straight year.